Eversince we saw pictures from Huis Ten Bosch, we've been eyeing Fukuoka 'cause FUK airport is the closest airport to Sasebo if you're coming from Manila (MNL), Philippines. 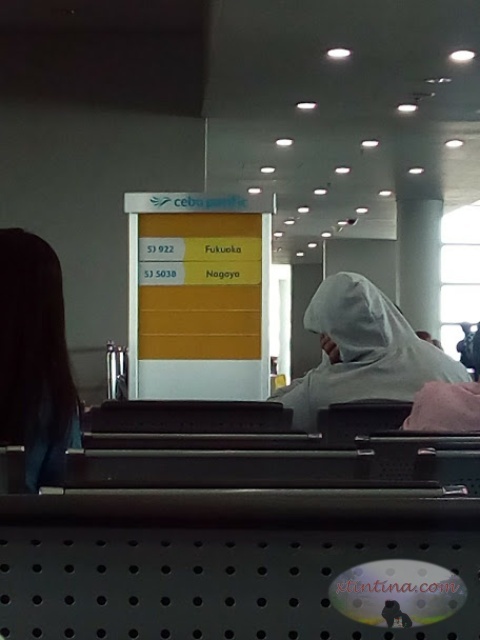 We took Cebu Pacific's 3:25 PM flight from Manila to Fukuoka. I've lost count on how many times I've ridden an airplane in the last ten years but the feeling of excitement while looking outside the window is still the same as my first. Our aircraft was Airbus Neo A321. It's my first time riding this kind of airplane and it was very comfortable. 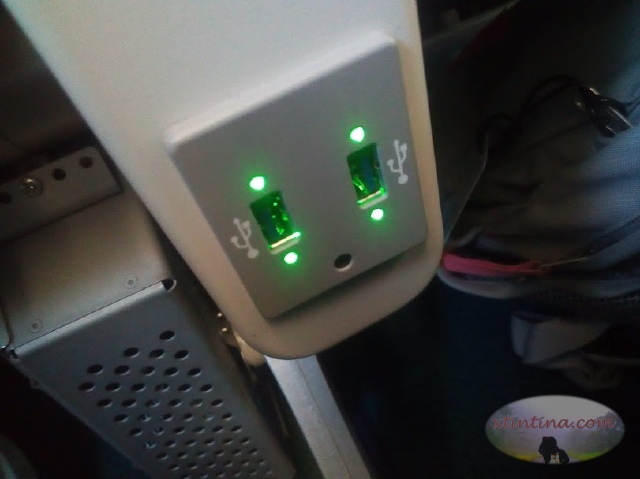 You have your own USB port and the legroom/seats were more spacious than usual. The back rest are angled so seat reclining isn't an option which is great especially if you chance upon an annoying person in the row in front of you who reclines his/her seat way too much without taking you into consideration. We claimed the pocket WIFI in this area. Pocket wifi or local simcard is a must in a Japan travel not only so you'd be connected to your social networking sites but you'll be needing google map for a lot of times especially if you're doing ah DIY tour. Hakata Station is just 20 minutes away from the airport and we figured that it was easier to take the bus than ride the train 'cause we didn't have to drag our stuff to transfer to the domestic terminal where the train station is. Fukuoka International Airport to Hakata Bus Station - 250 Yen. We prepared Yen beforehand so I don't know where in the airport will you be able to exchange money. From Hakata Bus Station, we followed Google map and we reached our hotel after around 20 minutes of walking. These countries are four out of the seven sister cities of Fukuoka and all the sister cities are travel goalssss! hahaha! 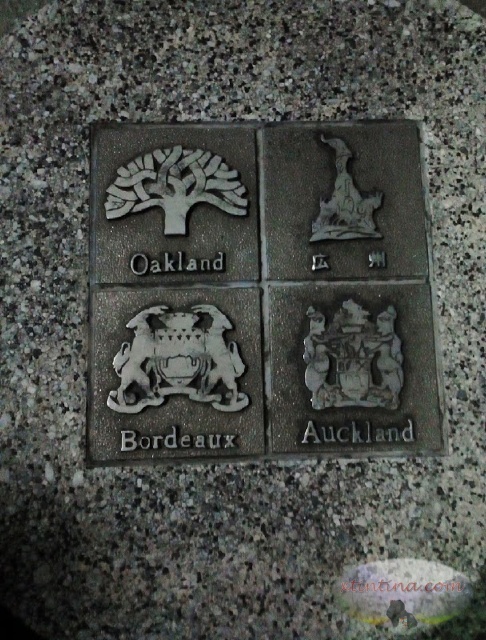 Oakland, USA - I've been here. Busan, South Korea - I've been here. Japan is the only country in all of my travelling where I bought a lot of stuff to take home for myself (and for others). I don't even remember going on a shopping spree when I was in USA. HAHAHAHA! So ito na nga, diba! Ang dami ko ng binili. :)) Our hotel didn't have a weighing scale which we can use so imagine how stressed we were 'cause we only had 20kg each for our baggage allowance and we bought A LOT. After checking in our luggage and learning that I still have some Yen with me, I decided to buy an Anello backpack for me and a messenger bag for my mom. Then after passing through the immigration counter and submitting all the tax-free receipts I incurred from all the shopping, THIS ROYCE STORE WAS THERE. I knew that Royce is going to become a problem once I step at the airport counter 'cause based on experience, I tend to lose my rationality in front of chocolates (that I like) and matcha. Royce, in this case, is an overkill. Almost half the price of the Royce chocolates that are being sold here in the Philippines, ANG DAMING MATCHA, I had more than 5,000 Yen left, MINSAN LANG NAMAN, magi-ipon na lang ulit ako pang Japan next year kung gagastusin ko 'to and all other excuses I've forgiven my self for giving in that 20 minutes shemay, gusto ko kunin lahat! hahahaha! The very first Royce product that I've tasted but I didn't get any of it. Many times while walking back and forth the store, I was asking myself if I got too much chocolates... :)) Only to realize that coming back home means I were to give my siblings and mom a box each. HAHAHA! Kk. 10,000 yen tayo next time, Royce?! HAHAHA! At hindi pa ko natuwa rito, I got a box of Tokyo Milk Cheese Factory Crackers on the same reasoning na kasi... mas mahal siya sa Pinas. HAHAHA. While I can do without the crackers and I've tasted more delicious soft served ice cream while in Japan, I hope that I will have more budget for Royce next time! hahaha! We thought that we arrived a bit early and won't see Sakura flowers but we actually did a great job with timing our flight especially since Sakura blooms earlier in Fukuoka area. Sakura drink from SB and the best ever matcha chichirya that I got from Daiso Japan. Can't capture it on camera but this is one of the most picturesque night flights I've had. The moon was shining bright so it was able to illuminate all the clouds unlike other night flights when I see nothing whenever I look outside the window.